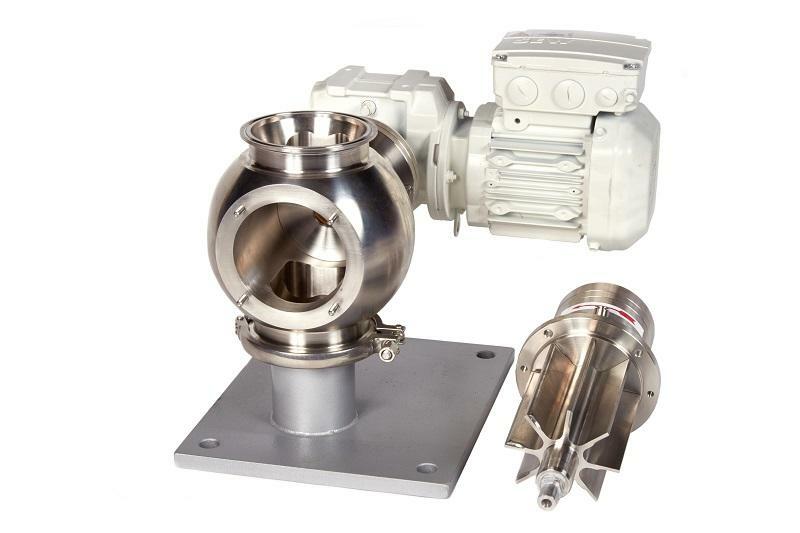 Gericke RotaVal have launched two new rotary valves specifically designed for the pharmaceutical industry. The valves are fully machined from solid and embody a range of detailed features. Both valves offer rapid access for cleaning, the HGMC is a manual easy clean rotary valve and the HGMF is a railed fast clean version. With both valves offering easy and fast cleaning they ensure minimum down times and the ability to be cleaned by plant operators without the need for any special tools. All surfaces are self- draining and full clean-in-place is available. There is a special multi-function shaft seal design including an FDA double lip seal assembly which provides the clean-in-place, drying and air purge. Optional features include pharmaceutical standard seals to provide secure joint between body, end covers and inlet/outlet connections. The valves can be fully tested and certified against 10 barg internal explosion and flame containment and there are isolator versions available. Sizes of valves from 80mm to 250mm meeting the most stringent pharmaceutical needs.